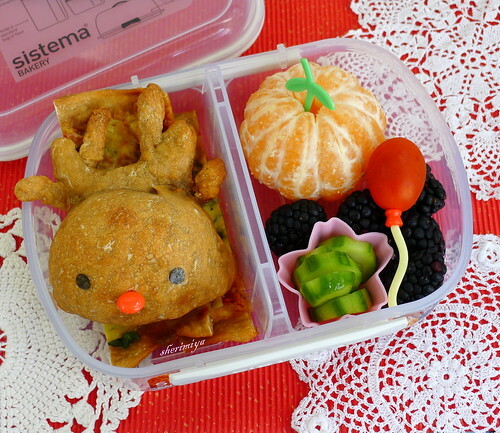 Rudolph Calzone Bento, a photo by sherimiya ♥ on Flickr. He's cute!! You are the calzone creature queen! I love your holiday themed bentos. Can't wait for more Christmas ones!! I love your Rudolph calzone! PS: honey! is it a good glue?